Alex grew up in Detroit, Michigan and spent his younger years fascinated with the world of sports and music. Growing an appreciation for the outdoors in his teens, he went off to the Appalachian Mountains to earn a degree in Recreation in the School of Agriculture at West Virginia University and play for the Men’s Soccer Team. The themes that have made the biggest impact on his life, like community, creativity, and resilience are very prevalent at Farm Camp and Alex is honored to spend his entire year working to prepare for summer! Kara was born in the mountains and raised on the wild coast of Sonoma County. She has made her home in colorful California towns as well as abroad. A graduate in Art History from Sonoma State University, her love of animals, nature, and the arts made being a director at Farm Camp an absolute dream. Now Kara gets to share everything she loves with the next generation! Chris has been an educator in the Bay Area for over twenty years and has worked in the classroom as teacher, coach, outdoor education facilitator, and international trip coordinator. He and his family have a special connection to Farm Camp and the Plantation Ranch community. Chris sums up his connection to the camp this way, “There are few places that feel more like home to me than Farm Camp. The camp and its mission are very much in line with my own philosophy. So much of what I do as a teacher and a parent is filtered through the lens of Farm Camp. David and Suzanne Brown met at camp when they were 8 years old. After many years as campers under founders Abe and Eve Crittenden, they returned as counselors. In 1971, they celebrated their wedding at the far side of the First Lake after being engaged for 11 days! David graduated from Pomona College and received a Phd in Animal Science from Washington State University. Suzanne graduated from U.C. Berkeley with her Secondary Teaching Credential. After living in Mount Baldy, Washington state and Colorado, they returned to the camp in 1984 and settled in to raise their son Evan and twin daughters Emily and Elizabeth. In 1985 they welcomed their first of batch campers. They strove to continue Abe and Eve’s original philosophy of a diverse community, living, learning and working together in a farm based environment. After 19 successful seasons, they retired as camp directors and began spending summers exploring in the Northwest and Alaska; traveling, boating, fishing, snorkeling and diving with friends and family. They continue to make the farm their home in the off season. 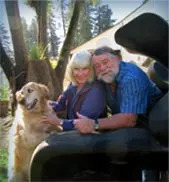 David enjoys running the ranch, Suzanne’s love of local history has come together in the extensive restoration of Druid’s Hall, and they are looking forward to many more years as stewards of Plantation Ranch. Scott has been friends with Suzanne and David Brown for many years and is excited to now be involved with Farm Camp. Scott is a graduate of Baylor University and has served as the Western Association of Independent Camps Vice-President and President of the Northern California Section. 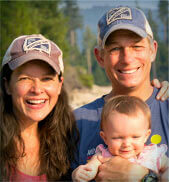 Additionally, he is an American Camping Association accredited Camp Director. 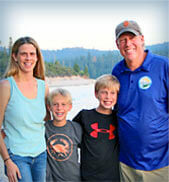 During his free time, Scott enjoys time with his wife and two children, in a variety of activities including basketball, hiking, paddle boarding, and biking. Scott is committed to continuing the philosophy and values of Farm Camp. Don is very excited to be a part of the Farm Camp family and looks forward to helping continue the wonderful traditions established over the years. Don has been in camping since 1993 and now oversees all year-round operations for both Mountain Camp and Mountain Camp Woodside. He is a proud graduate of UCLA and formerly directed Bruin Woods, the UCLA Alumni Family Camp on Lake Arrowhead. Don is currently serving on the National Board of Directors for the American Camp Association and is the President of the Western Association of Independent Camps. When not working on camp, Don and his family enjoy spending time outdoors exploring the beautiful Bay Area. Ken started working at the farm in the late 1980’s doing simple repairs about the Ranch. In 2008, Ken retired from the Santa Rosa Fire Dept. 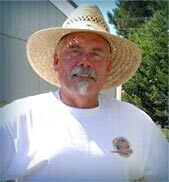 after 32 years and has since been working on the farm and takes pride in his role at Farm Camp: construction, preservation, and facility maintenance. Ken leads the wood shop activities for Farm Camp and assists with farm day projects and enjoys working at a place that has a long history and teaches people about the outdoors and farming. Nell first came to Farm Camp at age 9 when Dave and Ginny Crittenden were directing camp. Her siblings had been campers under Abe and Eve Crittenden. 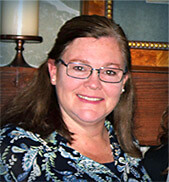 Nell has worked at the camp as a counselor, program coordinator and camp office manager for many years. Nell is a graduate of UCLA and currently lives in Petaluma with her husband and two children, who are both past campers. Nell’s favorite things are cooking, gardening, hiking, the beach, all things horse, family and friends. Sher is a professional horse trainer, hired by Farm Camp in fall of 2014 to oversee the ranch herd and direct the camp’s horse program. A native of the Bay Area, Sher grew up riding horses out of the stables in Yosemite National Park. Sher’s love of horses has been a driving force throughout her life. With a postgraduate degree in education, Sher juggled her time riding and training horses while teaching school part-time. In 2000 Sher left the school system to become a full-time horse trainer. Sher utilizes a unique training style geared toward biomechanics, straightness, and balance in both the horse and rider. 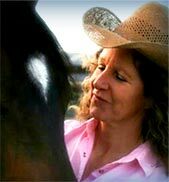 Very involved in the Equine community, Sher is president of BRONC (Barn and Ranch Owners of N. CA) and was the Southwest Regional Director for North American Western Dressage Assoc. while continuing her private training stables on her ranch. Sher feels Farm Camp is the perfect place to combine her love of horses, teaching and hanging out with kids in a farm setting.